← How to convert a document of mht to png image? How to convert a document of mht to pnm image? You can convert the document of mht to pnm image easily by using the software HTML Converter Command Line which is a very powerful converting software.It allows you to create previews or thumbnails of web pages in a number of different formats, such as TIF, TIFF, JPG, JPEG, GIF, PNG, BMP, PCX, TGA, JP2 (JPEG2000), PNM, etc. HTML Converter Command Line also allows you to convert web pages to PDF, PS (postscript), WMF, EMF vector formats. 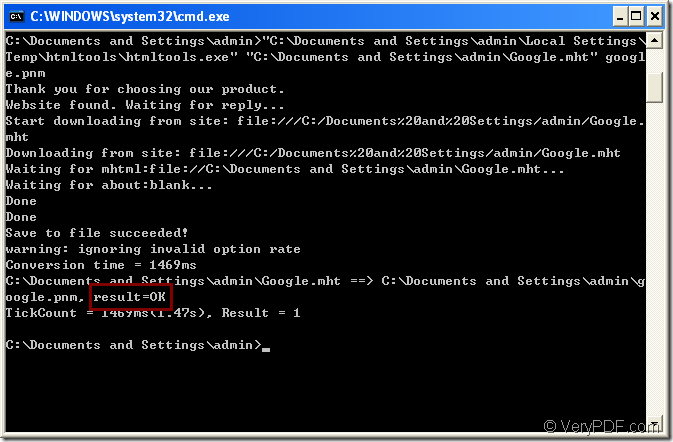 You can download HTML Converter Command Line at the website http://www.verypdf.com/htmltools/htmltools.zip. The specific introduction to this software is at http://www.verypdf.com/htmltools/index.html. If you want to know more functions about HTML Converter Command Line,you can visit http://www.verypdf.com/htmltools/htmltools-manual.htm to read its user manual. 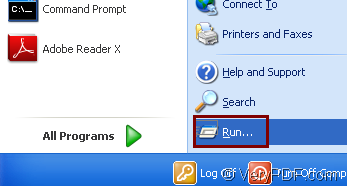 Please click “start”—“run” showed in Figure1 and input “cmd” in “open” edit box like Figure2.Then click “OK” button. 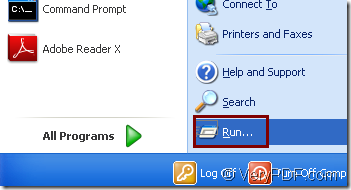 The hot key “Windows” + “R” can also open the dialog showed in Figure2. 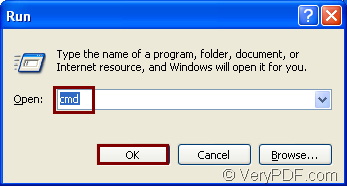 2.In the popup cmd.exe dialog box,please change the current directory to installation directory of HTML Converter Command Line by command “cd” which means change directory.Then input the register code which you get when buying the software.After clicking “Enter” button on your keyboard,the register is over. Then you can input your command lines in cmd.exe dialog box.The commands should contain called program,source file and target file.Please see Figure3. 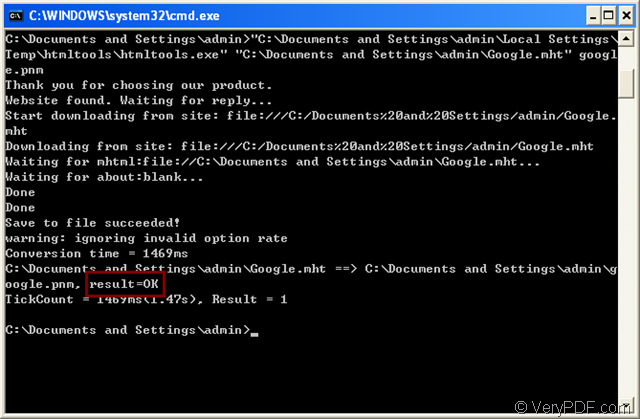 If this command is not easy to understand,we can take the commands in cmd.exe as example. 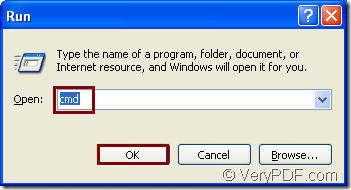 "C:\Documents and Settings\admin\Local Settings\Temp\htmltools\htmltools.exe" is the directory of called program—htmltools.exe which is the executable file in HTML Converter Command Line.The path seems too long to input and you can take the easy way—drag the file into the dialog directly to save your time. "C:\Documents and Settings\admin\Google.mht" is the directory of source file. google.pnm is the name of target file. NOTE:If you don’t specify the path for target file like the command above,it will be saved in current directory. At last,you can browse your target file in some location of your computer and the conversion of mht to pnm is over. How to rotate the page while converting wmf to jpeg? What is the difference between -raster and -raster2 parameters?